Some parts of our planet are a graveyard of lost civilizations, and you don’t have to travel far to find some vestige of a bygone age. But have you ever considered that, one day, a modern culture might walk among the “ancient” ruins of our own world? These terrifying yet dreamlike images are the work of French photographer and digital artist Christophe Dessaigne. 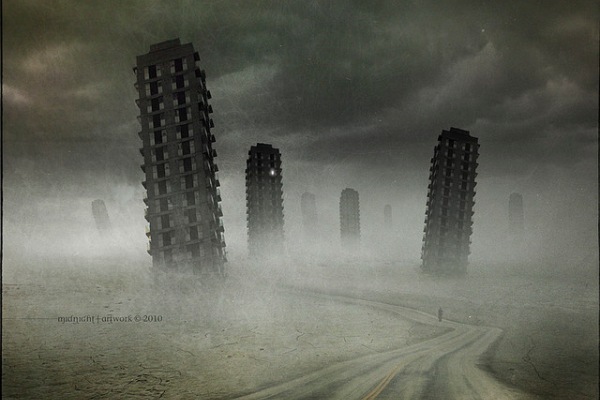 Visions of a post-apocalyptic kingdom, the dim light rising beyond a barren wasteland of crumbling buildings and twisted skyscrapers represents the last dawn at the end of the world.